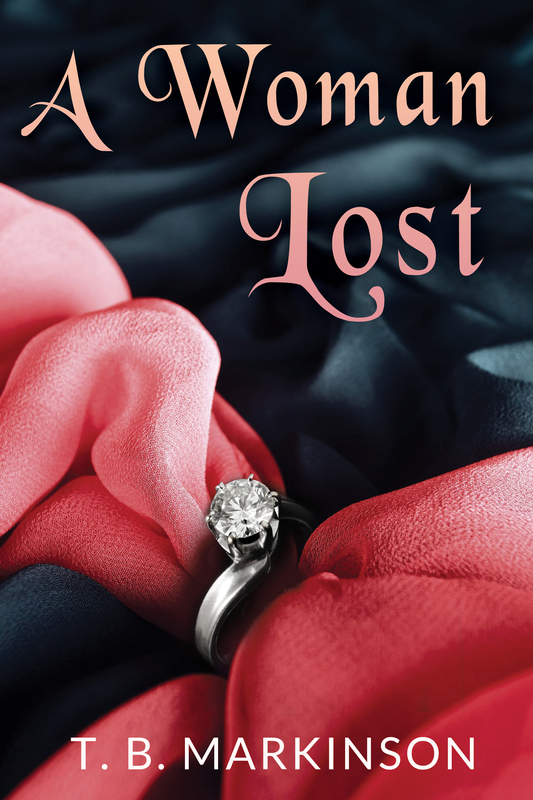 Today I’m thrilled to announce that my novel, A Woman Lost, has been published. Currently the ebook is available via Amazon. I’m in the midst of figuring out how to get print copies out there as well and I’ll keep you posted on that project. Before I discuss my novel I want to say thanks to all of you. During this journey so many of you supported me, cheered me on, offered advice, and sent me useful links and contacts to help me decide which path to choose. This would have been a much more daunting task on my own. Thank you to everyone who helped. Your kindness is much appreciated. So far the reviews have been encouraging. If you are interested in reading my book or are currently reading it and you are a Goodreads member I have a favor to ask. Please mark on Goodreads that you either want to read it or are currently reading. And if any of you do read A Woman Lost and enjoy it please consider leaving a review on Amazon or Goodreads. Your review doesn’t have to be long and each four and five star review will help me out greatly. Before I provide the synopsis of the novel I wanted to mention that I guest posted on a couple of blogs this week. First, T. F. Walsh was kind enough to let me talk about my novel on her wonderful blog. If you don’t follow T. F. you should. She’s an amazing writer and a wonderful blogging buddy. Also Emily Luxton interviewed me about climbing Mount Kinabalu in Malaysia. Many of you wanted to see a photo of me at the top. I haven’t included this photo on my blog but if you hop over to the interview, you’ll find my goofy photo. When I saw it later I was surprised I was actually smiling since I was exhausted from the experience. Emily’s blog is an amazing travel blog that I highly recommend. Again I want to say thank you. All of you have been wonderful during these past two years and I wouldn’t have been able to finish my first novel without all of your help and support. Have a wonderful weekend! Despite’s Lizzie’s insistence that her mom’s antagonism does not bother her, Lizzie distances herself from her mom and the entire family. When her brother, Peter, calls her out of the blue to announce he’s getting married, Lizzie’s entire life changes drastically. Peter’s fiancée wants to bring the lesbian outcast back into the family. Will this desire cause Lizzie to lose everything dear to her? This entry was posted in Blogging, Books and tagged A Woman Lost, Amazon, Emily Luxton, Good Reads, Indie Author, Indie Publishing, Malaysia, Mount Kinabalu, Publishing, Self-Publishing, T. B. Markinson, T. F. Walsh. Bookmark the permalink. Thanks! All of you have been amazing and supportive. More than us its your passion and dedication which has taken you till here… Never let that fire in you go off… Long Live TBM… and wish you many more successful days ahead. Good to hear about your new novel. I am in a business meeting. Will read your whole post once this idiotic meeting is over. Love ya!!! I’m so pleased for you – here’s to a bestseller! Thanks! I hope all is well with you and your family. I’ll keep my fingers crossed and I’m sending positive thoughts. Yayyyyyyyyyy!!!!!! I just knew you could do it, and I know that this book as well as all your future novels will be very successful because you are an amazing writer :). Congrats my friend! Hello and thank you! How have things been? They’ve been good, setting up our new home and entertaining my sister. Hopefully I will be able to get back to my book by next week. It has taken a backseat to all of the other activities the last few months no excuse, I know ;). Oh I know how long it takes to set up a new home. And then add family to the mix and I completely understand why your book has taken a backseat. Same thing happened when we moved here. The first few months were insane and I was drained emotionally. Congratulations on this marvellous achievement. Thank you, Vinnieh. There were many moments when I thought I would never finish. Thank you, bulldog. I plan to have a victory glass at the pub tonight. Congratulations!!! So thrilled for you. I wondered what that glow on the horizon was, now I know it was you beaming with joy from over the pond. Ah, thanks Carl. It feels pretty good to finally publish it. Congratulations TBM! What a wonderful thing!! 😀 I have a Nook so I will have to wait for the print copy? Can you read pdfs on your Nook? right now I’m enrolled in KDP Select with Amazon for the perks. I do plan on releasing it for other ereaders in the future. I can wait! I don’t wanna, but I can. I don’t know if I can read pdfs on my Nook. It’s pretty old. Thanks TBM! I would love a paperback to put on my bookshelf! I’ll do my best to make that happen! Congrats! It is on my “to read” list at Goodreads :-). Thanks for adding it. Much appreciated! Will do. thanks for the support, Colline. Good luck with moving! I don’t envy you one bit. As of now, I’m looking into Create Space for print books. That way I don’t have to store all the print copies, which is a good thing–I don’t have the space. I hope you like it. And thanks for the support. Thank you! Happy reading and have a wonderful time at the birthday bash. Safe journey. How exciting – congratulations! You must feel such relief (and butterflies in your stomach at the same time!). Thanks so much for the tweet. and yes every little thing does help and I appreciate it very much. You rock! Congratulations on your novel!!! I’m happy for you. What about Amazon Brazil? Hahah! If it isn’t there, let me know. It should be worldwide. Congrats on the awesome reviews… so excited for you:) Thanks for the mention too. Congratulations!! So exciting for you. Thank you so much for saying that. I hope you enjoy the rest! Have a wonderful weekend and I enjoyed your post on London. It’s funny the stuff we take for granted when we live here. Argh—I am so behind on reading blogs!!! Finally getting around to maybe catching up a bit this morning!!! I feel famous seeing my excerpt on your blog! But seriously—I did love it and your style is so engaging. Congrats and best of luck with it! I think it is going to be a winner!!! Thanks again for letting me read it! Thanks for your kind words and I’m glad you enjoyed the novel. I’m keeping my fingers crossed that others like it as well. Thank you. I’m curious to see where this path takes me. What kind words. Thank you very much for the support and encouragement. Enjoy your morning coffee. It’s afternoon here, but I’m about to make a cup of tea and settle on the couch to read. Have a lovely weekend! Well done. Very happy for you. Thanks, Lynn. and thank your for being one of the first readers. A huge pat on the back to you, T.B.!! Such an accomplishment and an inspiration to me. Must get writing. . . . Yes, keep writing. Even if you only write a 100 or 200 words a day. they add up. I wish you the best of luck and I can’t wait to read yours. Thank you. It does feel good to know I finally finished it. No rush, Susi. I hope you enjoy. Have a wonderful weekend and I hope the little one is feeling much better. Yippie! Kids should not be sick during summer. Yay! Congratulations on the book and I wish you huge success with it! I also read the guest posts you did! Awesome! Congratulations TBM! Looking forward to reading your book soon. I totally loved what Beth ann Chiles said about your book – about wanting to get into her Kindle and shake some sense into some of the characters 🙂 Emily’s interview with you on climbing Mount Kinabalu was quite interesting to read. That top of the mountain picture was quite nice too! Thanks for sharing! Thanks, Vishy. I wanted to shake some sense into the characters as well. But they were fun to create and to write. I wish I remembered to take my head lamp off the top of my head for the Mount Kinabalu photo. you only get a brief moment to pause for a photo so I couldn’t go back for a re do. Hooray! I’m nearly done reading A Woman Lost. I’m about 90% finished (don’t you hate how the Kindle can’t give you a page number?). I’m so enjoying it and can’t wait to see how it all turns out for Lizzie! I hope you like the end. And why can’t Kindle give a page number. It says the approximate number of pages and we know Amazon loves crunching numbers. I hope to start your book on Tuesday. Can’t wait to read it actually to help me prepare for my NY trip! Wooohoo! Oh, dear. Maybe after reading you’ll never look at the subway the same way again. I’m wondering how much the experiences will relate to mine in Boston and London. Can’t wait to find out! Dude I read your friend Emily’s review and it rocked. CONGRATULATIONS! I can’t wait to read it but will have to wait for the paperback i’m afraid. no kindle. it’s very exciting and all the people who follow you are so excited for you. you are a gifted writer and photographer-just so excited for you! Thanks for the kind words. Will let you know when the paperback is available. have you been keeping yourself busy this summer with your food projects? we have. the season has been a little off-nothing seems to be ready at the time it normally is. we’re about to drive 5 hours this weekend to pick peaches since we missed them last year and again this year. It’s nice reading all the comments on your book. you are well loved by the people who follow you. Picking peaches sounds fun. I would be tempted to eat them right then and there. Thank you for the kind words. Everyone has been wonderful and supportive. It makes things easier 🙂 Have a wonderful week! TBM, this is such a great news, congratulations and much success. I am an author myself of three books and I know how excited it is. I don’t have a kindle yet, I still like to hold a book in my hands, or like to have the author reading the book on CD while I am driving. I will change my habit soon. Thanks, Valentina! Hopefully my paperback will be out soon. It’s still in the works. Thanks, Anna. I hope you are having a wonderful time at your internship. Oh I know. Life has a way of interfering with fun. Good luck and try and see some things. I am so ridiculously proud of you !!!! Ridiculously !!!!! Thanks, Jo. That means a lot. How’s your book coming along? Just starting to get back in to it. I gave up with all the hassles I had with sad computers then no computers. I guess I really got out of the habit. And I have been trying to get this laptop all set up with programmes and all the stuff I used to have. I lost all my bookmarks, contacts, the works when they stole the computers. But I am almost there…so hopefully I will get back in to it with a bang. I hope so. I can’t wait to see what happens! I am sorry to hear about all of the computer issues and everything. How horrible. And dealing with the break in as well. That’s a lot. Congratulations! What a huge accomplishment, and the reviews are terrific.